Down the long corridor of the Hôtel Ritz Paris, antique jewels and heavy furs sparkle inside display cases. The most fashionable and posh must endure the temptation walk upon entering the famous bar, where King Alfonso of Spain ordered a Dom Pérignon champagne laced with expensive cognac served with a dozen strawberries. 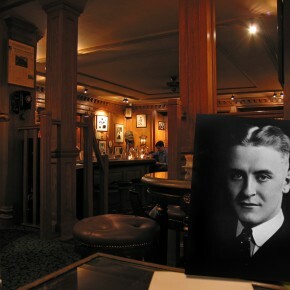 Established American author F. Scott Fitzgerald exchanged many drunken words with fellow writer Ernest Hemingway while the more sober Irish poet Oscar Wilde disapproved the fast elevators and the dim-lit bedside lamps. 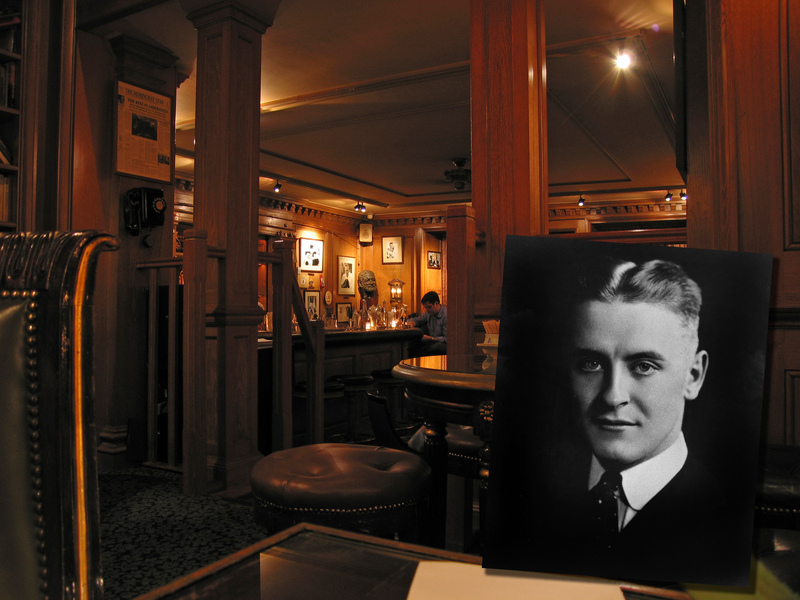 The Ritz bar, in the free and easy era of the 1920s, set the mood for bizarre requests. Hemingway and Fitgerald’s wife Zelda hailed a late-night cab, an old Renault for a four-hour joyride into the French countryside. The journey soon came to an end when the French oil used to power the car ruined the engine with Hemingway insisting on the local product as a way of pledging national allegiance. Captain Wills, owner of England’s largest cigarette company, requested for his custom Rolls Royce to be shipped at the crack of dawn from his English estate. Others placed orders for their wild animal pets, bejewelled slippers and rare caviar. 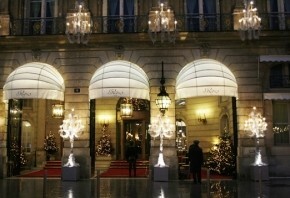 Parisian hotels inspired hordes of songwriters, novelists and actors. In lobbies they engaged in noisy squabbles, and in restaurants the clamour of the crowd only grew after a few rounds of drinks. The uproar would catch the gaze of ladies in silk gowns trimmed in ermine and mink. Staff did its best to satisfy the whims of its clientele, treating the regulars as members of some elitist club. After the Ritz lost its romantic aura in the wake of the 1930s Great Depression, fashion designer Coco Chanel and literary critic Marcel Proust moved in. Chanel fell deeply in love with its deluxe amenities, choosing an opulent suite as her spiritual home and refuge from the haunts of Germany. along the curving Seine River bring the light of conversation over unfinished plates of salmon and tuna tartare. The small eateries once served as an arena for debate. French painters, from Claude Monet and Pablo Picasso to Edgar Degas and Pierre-Auguste Renoir, discussed new developments in the Impressionist style over baguettes and espresso. Half-full and restless with ambition, they headed to École des Beaux-Arts to study technique and perfect craftsmanship. Art students today sell their famous works reproduced again and again at a cheaper rate than booksellers, gallery curators and design shopkeepers. The new center of Parisian artistic and cultural life is Le Marais. A royal favorite under Henri IV and Louis XIII the dazzling quarters fell to ruin after the 1789 Revolution. But the 1960s pushed for restoration and today the old Medieval and Renaissance apartments hug the renovated squares. 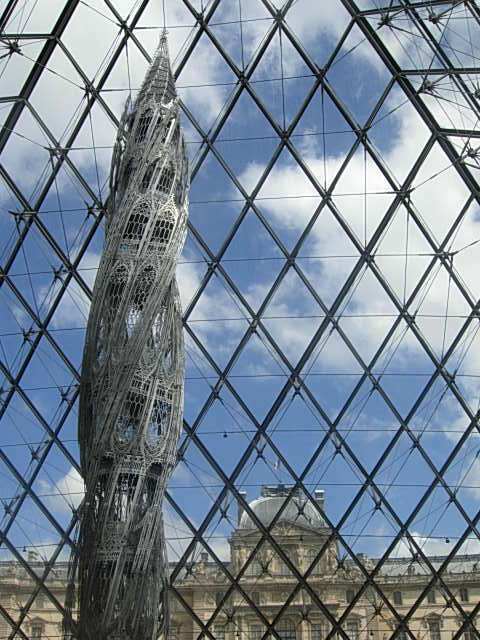 The city’s famous monuments had their fix. 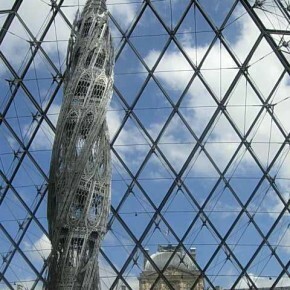 The Louvre received a glass pyramid for its entrance, showing an unhurried ambience of the place—the feeling that one has entered another luxurious estate of winding staircases, crystal chandeliers and marbled sculptures in action. 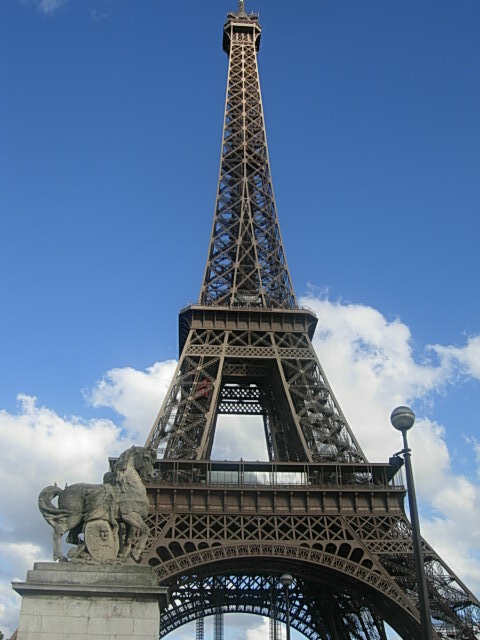 The Eiffel Tower is coated in a new layer of paint every couple of years. The walk from ground level to the first is over 300 steps, as is the walk from the first to the second level. Pace speeds up with the lift to the third level for an aerial view of the city, quite enchanting in the evening, and slows with silent footsteps inside the Notre Dame Cathedral during evening mass featuring Mozart. For its 150th Birthday celebration, the French gothic church will erupt with the sound of bells and musical compositions, followed by announcements from religious and political figures anticipating restoration efforts. Most guests will listen. 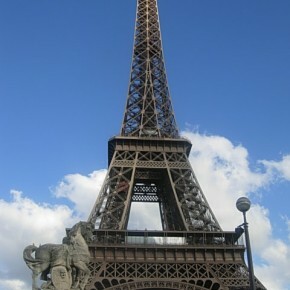 Others will escape into the skirts of Moulin Rouge for a treat of expensive cabaret and overpriced wine. And a couple will be embarked on a drunken dance back to the Ritz for a reunion. In black suits and silk ties, they represent a particular era explored by coming-of-age romantics highlighted in the film “Love in the Afternoon”, starring Gary Cooper and Audrey Hepburn, which was partiallyfilmed there. On July 31st, the pinnacle of all luxurious hotels will come under the sizzle and axe. French architect and designer Thierry Despont, who was responsible for renovation of the Carlyle in New York and the Dorchester in London, will oversee the unprecedented two-year makeover. He promises to preserve the landmark’s old-world elegance and by adding a tunnel to connect the underground parking lot, high class society will have a chance to run rather than lounge comfortably.